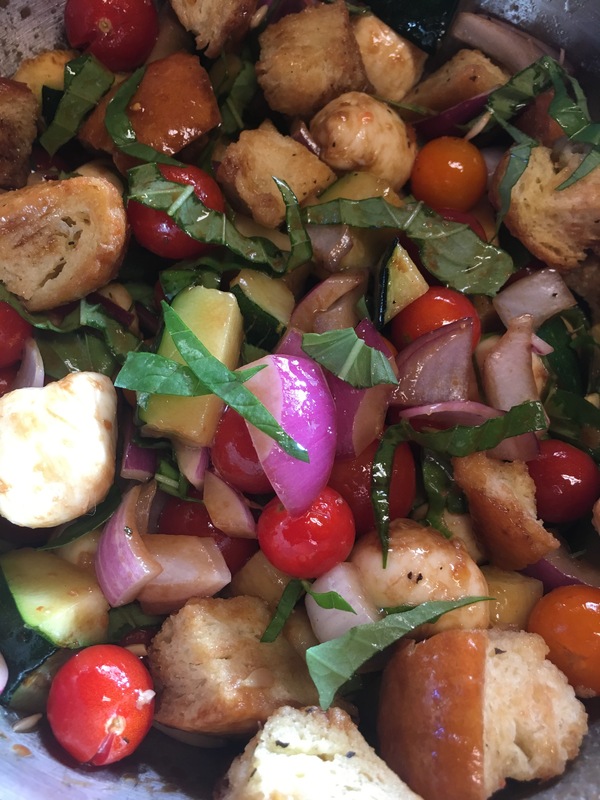 My Mom and I first had a Panzanella salad a few years ago. It was at an event that took place in the middle of the summer, on a ranch, outside. It was hot and fairly miserable. The thought of eating anything hot was not appetizing at all. This beautiful salad was served before the main course, it was cool, flavorful and downright pretty. 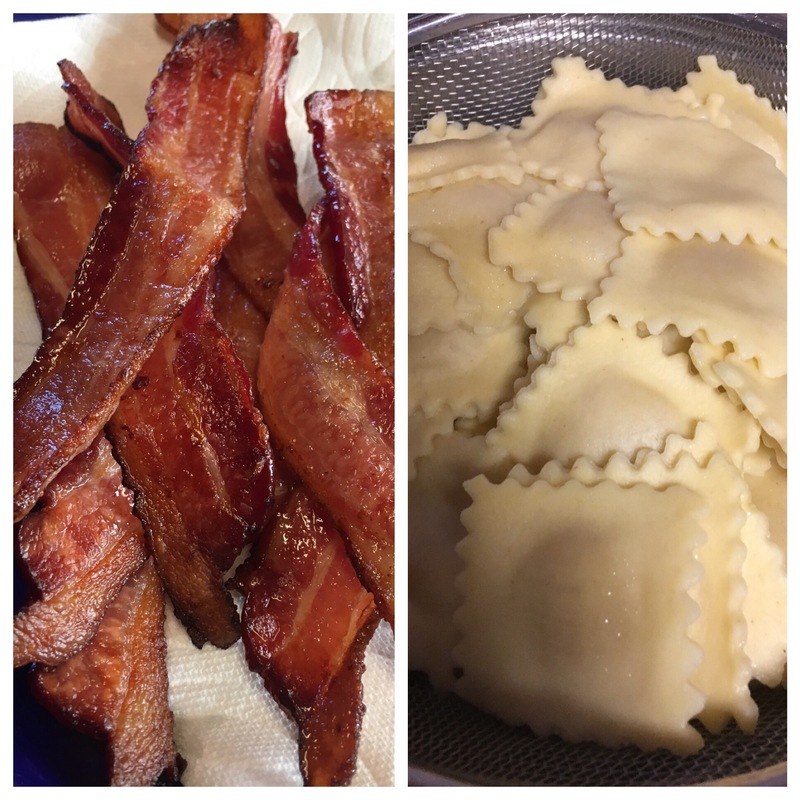 We quickly ran home, lurked up a recipe and this has been a staple in our world since. I noticed some recipes don’t include the mozzarella balls, and that is a big mistake. 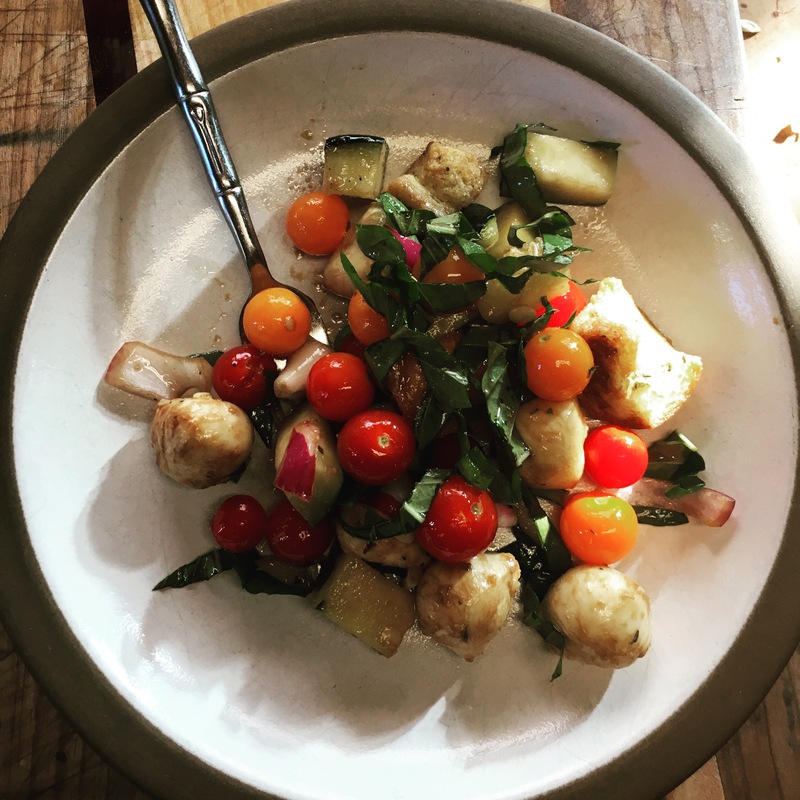 Those little marinaded cheese balls make this salad. It’s my favorite part. And using good balsamic is a must too, something about the sweetness of it really compliments this dish. If you don’t have zucchini, a cucumber can be used instead and you don’t have to grill it. See the moisture on the top of the zucchini? This step really does make a difference. 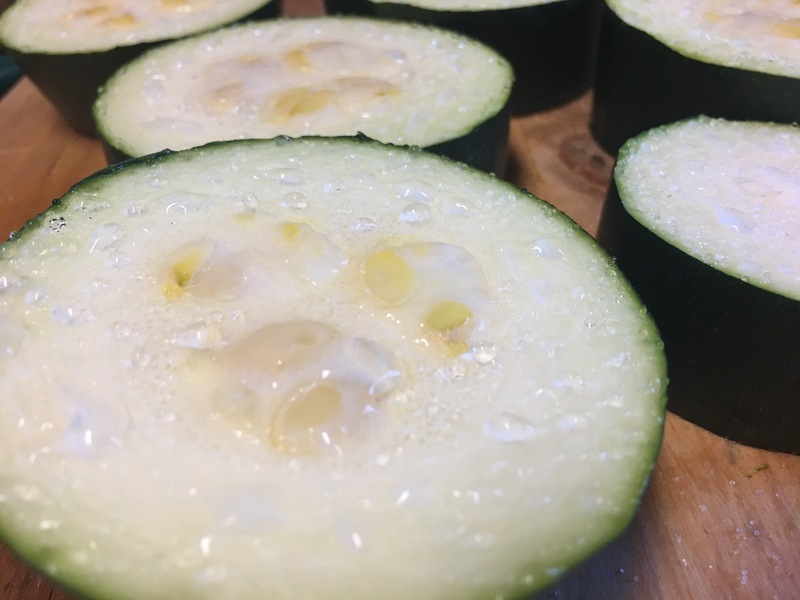 Slice zucchini into rounds and sprinkle with salt. Let sit for 10 minutes, the salt will draw out some of the moisture. Do that for each side of your sliced zucchini. Blotting with towels remove excess salt. I like to grill my zucchini for about 3 minutes on each side or until I get nice grill marks. 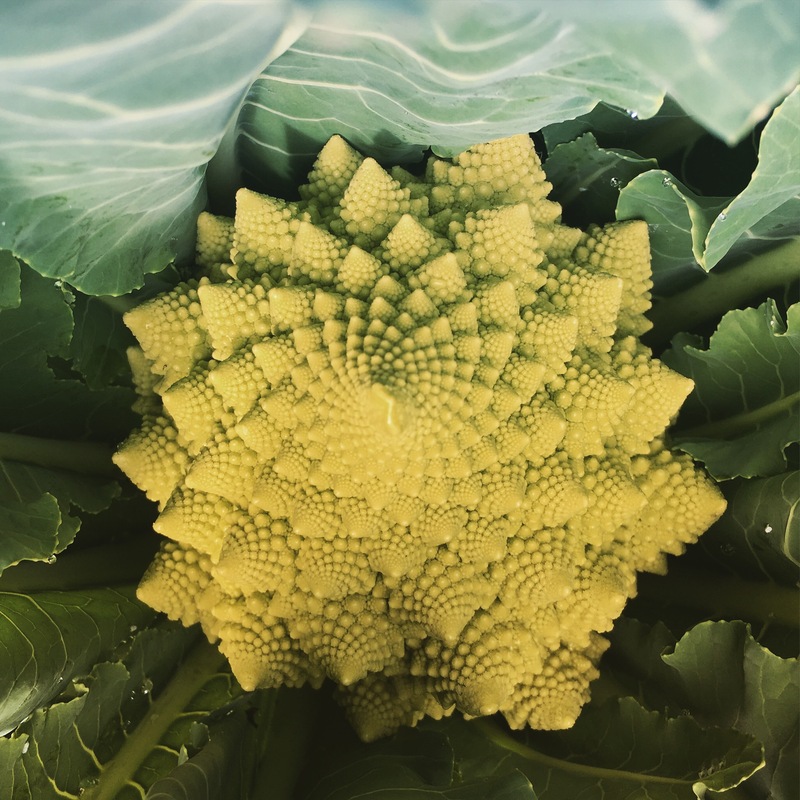 Cool, and cut into bite sized pieces. 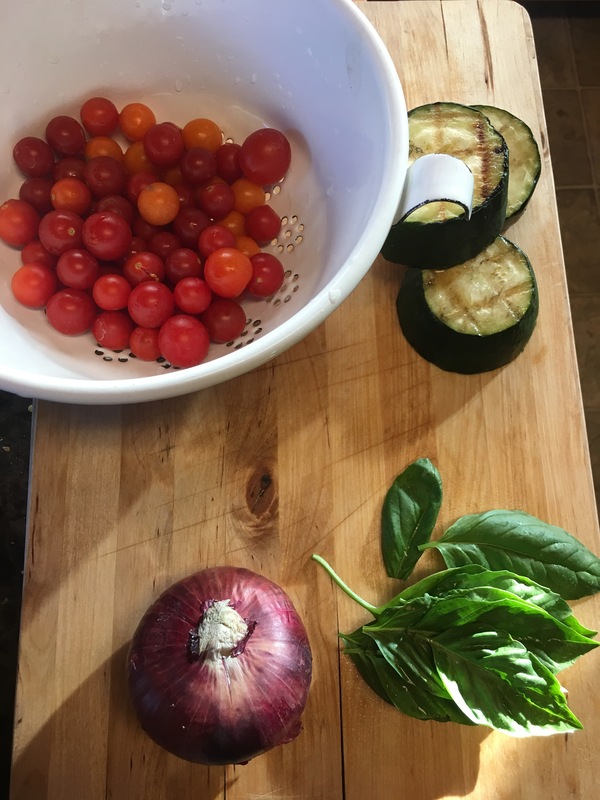 I love this salad because I get to use almost everything from my yarden! 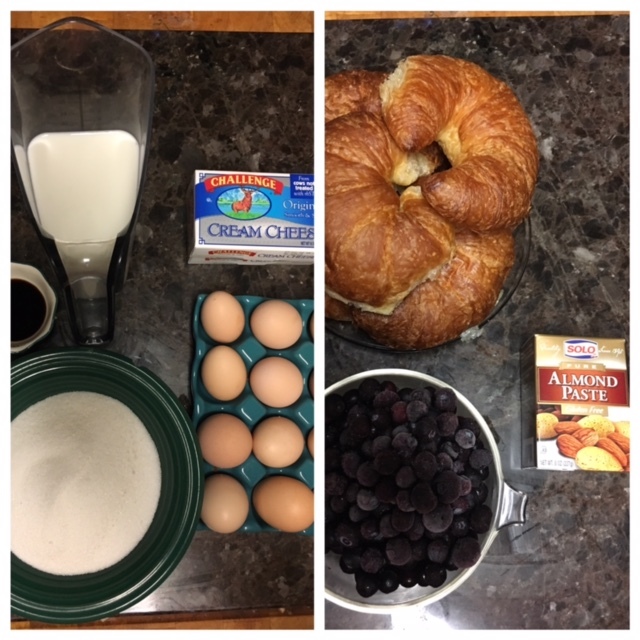 Combine the first 6 ingredients in large mixing bowl. Toss to mix. In a separate bowl mix oil, vinegar, salt and pepper and mustard. Mix well. 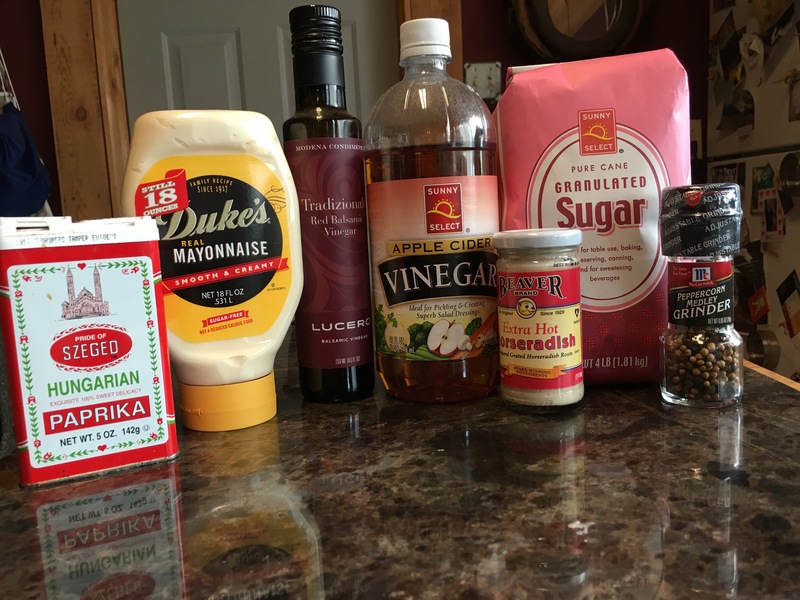 Pour the vinaigrette over the rest of the salad. Let chill for 30 minutes before serving. I might have a slight obsession with sweet tea. It started when I went to Alabama, because here in California, it’s just not a thing. When one has “sweet tea” here, it is just a glass of ice tea with a packet of sugar added to it. Disappointing and grainy. When I had it in Alabama (or anywhere in the South) it was an ice-cold glass of delicious nectar. Every time I get to go to the South or have a layover at the Atlanta airport, I’ll bring airport sweat tea back in my Swell bottle. I ration it for a few days and think Southern thoughts. If you can find Milo’s tea in your area, get that. That is my baseline to judge all other sweet tea. If you can’t find it, you are going to have to make it. But it’s ok, I’m here to help! For me, the secret to a good sweet tea is the simple syrup. You must make a syrup or you don’t get the same mouth feel. The syrup makes the tea just a whisper thicker, and if you get the good ice (you know, like the kind from Sonic’s), you end up with a kinda tea slushy which is heavenly, IMHO. Sweet nectar of the god’s. A basic simple syrup recipe is equal parts water and sugar, heated until dissolved. You add that syrup to your ice tea and you’ve got a pretty good start of a decent sweet tea. However, if you wanna church it up a whisper, add some fruit to your syrup. Since its summer here in beautiful Northern California, we have all the fruits right now (literally and figuratively), pretty much all of my sweet tea is a fruit sweet tea. This week I’ve done peach, blackberry and nectarines. 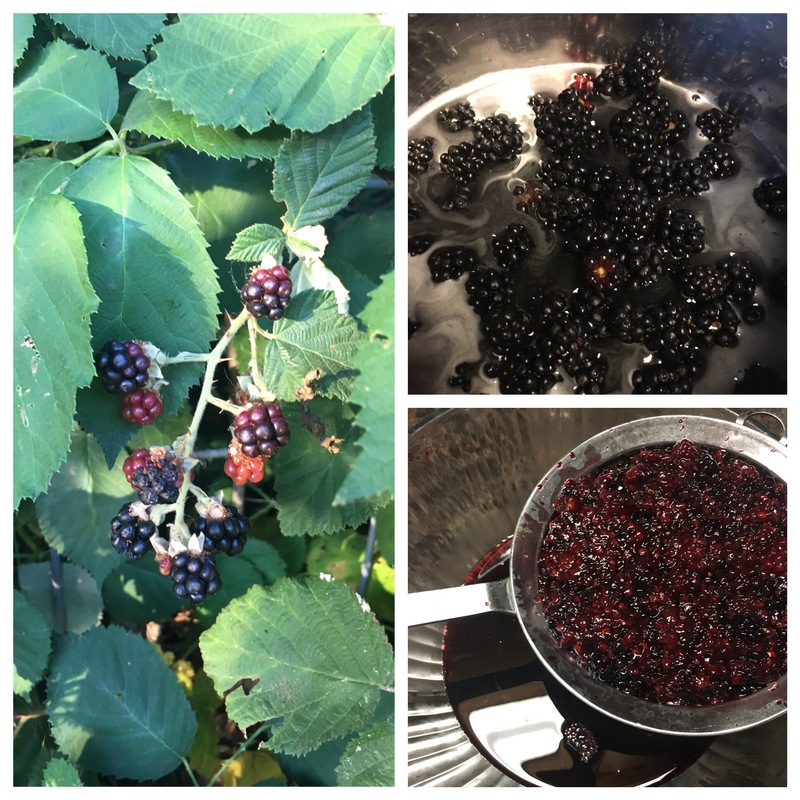 We have wild blackberries growing here right now, so that is why I am doing blackberry for this blog. In a saucepan, add fruit, water and sugar. 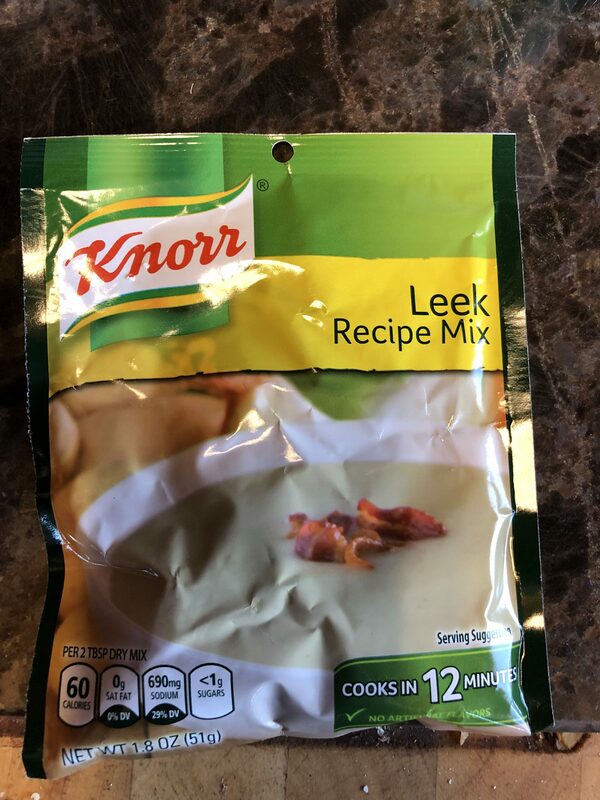 Bring to a simmer, cover, and let cook for 15 times. Mash up for fruit with a potato masher and simmer for 10 more minutes. Let cool. Run this mixture through a mesh strainer. Discard the solids. From berry to sauce in just a few short hours. Since I don’t have air-conditioning in my house, and I think sun tea is a bad idea, I use cold brew tea bags. I think it tastes the same, especially if you are adding fruit syrup to the mix. It makes making tea easy. I simply add my water to my container, add my tea bags, and stick it in the refrigerator until cool. Then I add my fruit syrup, mix well, and serve over ice. If I close my eyes and turn my smoker on when I drink this, it almost feels like I am in the South! Mess around with this recipe – some people (who aren’t used to sweet tea), find this too sweet, some people (who are used to it), find it not sweet enough. You’ll find your happy place pretty easily. 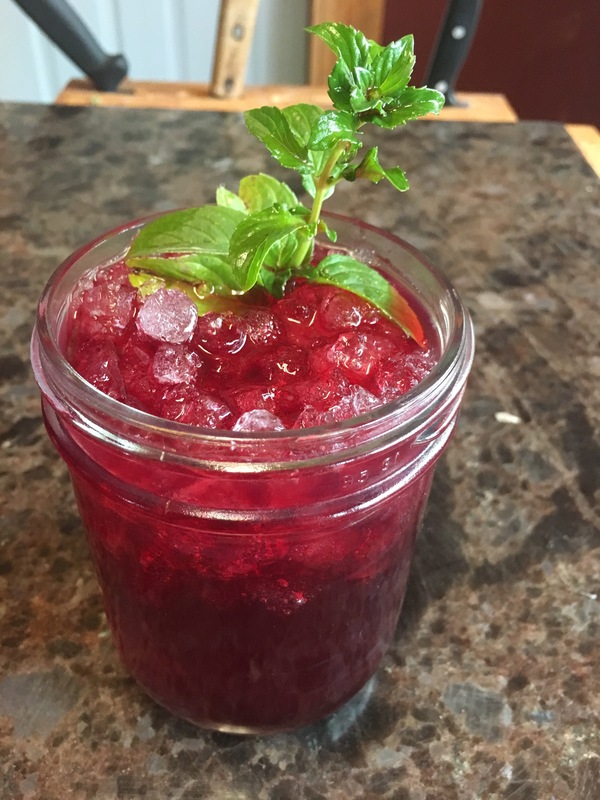 Add some mint or fruit when you serve it, to up the ‘wow’ factor. Enjoy! Taaa daaaa! 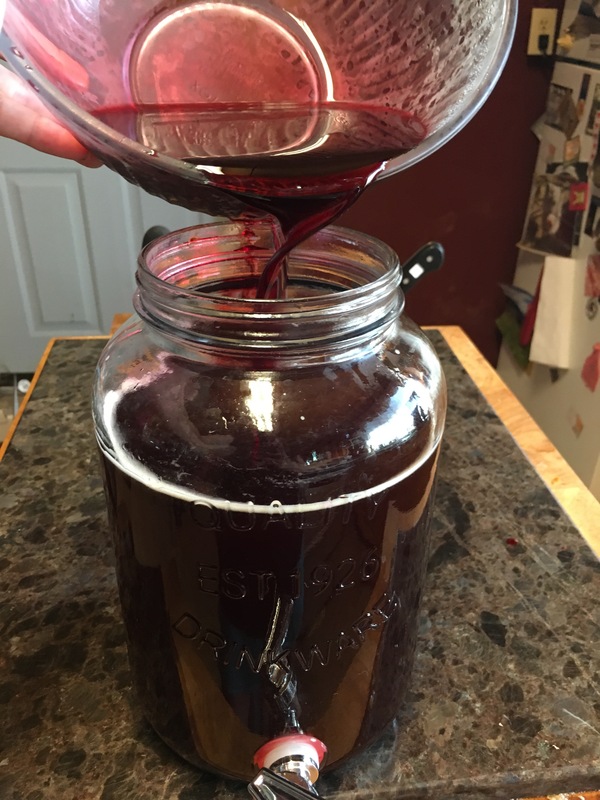 Easy fruit sweet tea! Remember last year when I went to the South a whole bunch? And discovered how amazing it is down there? 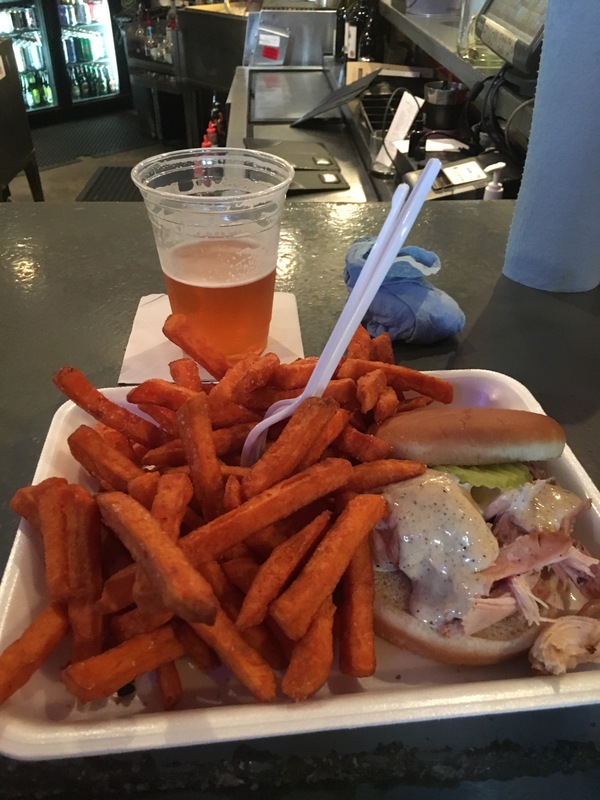 One of the many, many things I loved about The South was the food. I mean, it changed my life (cough, cough Traeger makes an amazing smoker). One thing I’d never had, but heard about, was Alabama White Sauce. My first experience with it was at Saw’s (GO THERE). My very first Alabama White Sauce experience. It.was.glorious. After my initial mouth joy, I kinda got pissed that I went this far in life without it. It’s just not a thing in California. Before I came home, I made sure to try it as many times as I could. I bought it by the bottle and brought it home too! I also asked for recipes. I got many. I know the purist claim real white sauce is only salt, pepper, mayo and vinegar. But while I was down there I found that everyone had their own variation. I tweaked it and kinda came up with a California version, I love this sauce and make it all the time. My second White Sauce experience. It.was.glorious. This is it. So easy. Put everything in a mason jar and shake to mix. I like to give it at least 12 hours in the fridge to “meld” before serving. I’ll smoke ribs and chickens at the same time. 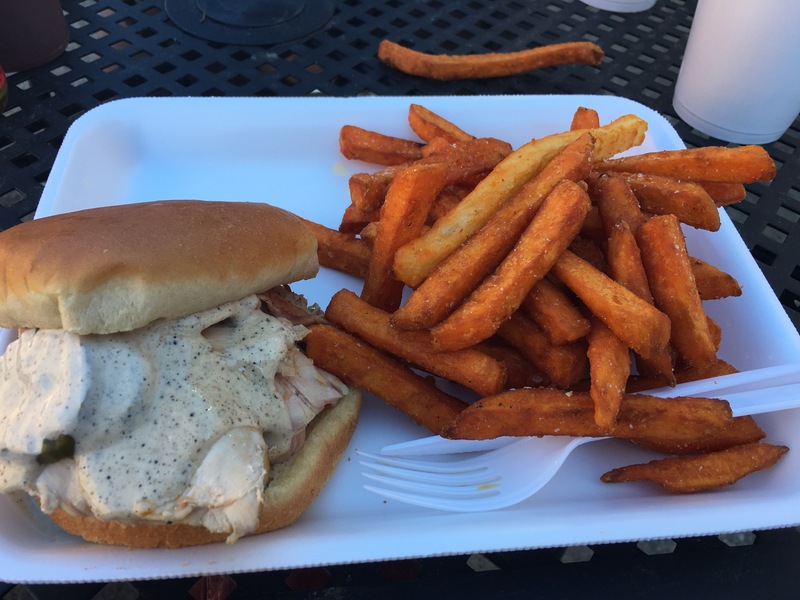 I’ll save the chickens for the next day and make pulled chicken sandwiches with the white sauce. Learning how to smoke has been one of my favorite things from this year. 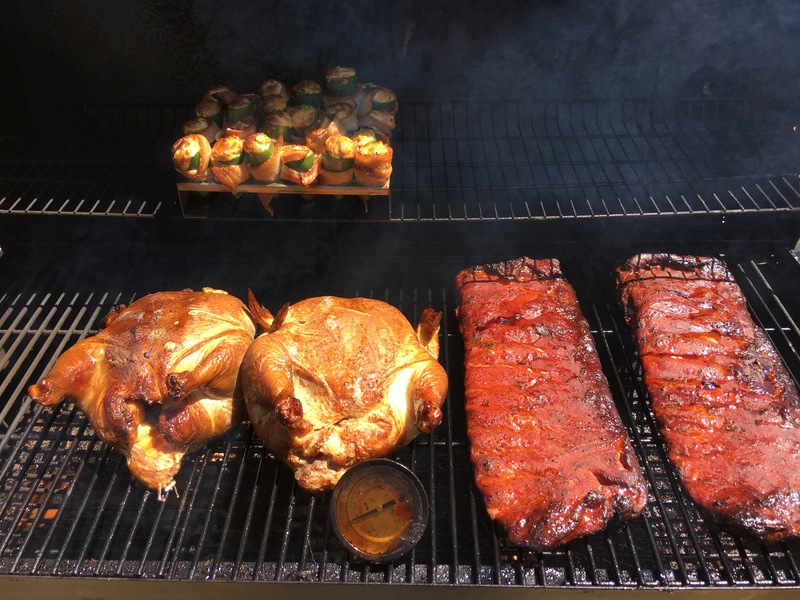 I’ve made everything from smoked potato salad to bacon candy in my smoker. It adds a whole new flavor and texture to meat and vegetables. And again, I get kinda pissed I’ve lived this long without having a smoker in my life. Don’t make the same mistake I did friends. Go get yourself a smoker, and make some white sauce. You’re welcome. 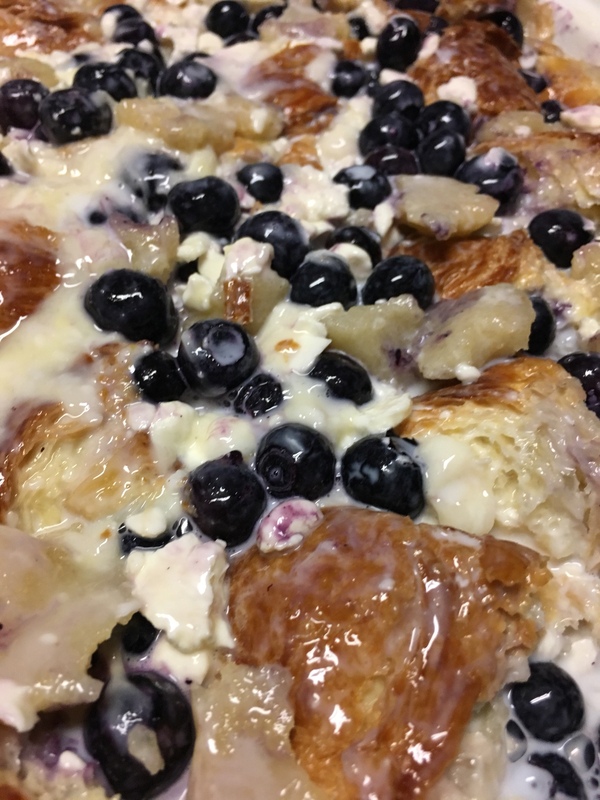 Recently, our local blueberry farm opened their gates to the U-pick crowd. Well, being the foodie I am, I had to go. 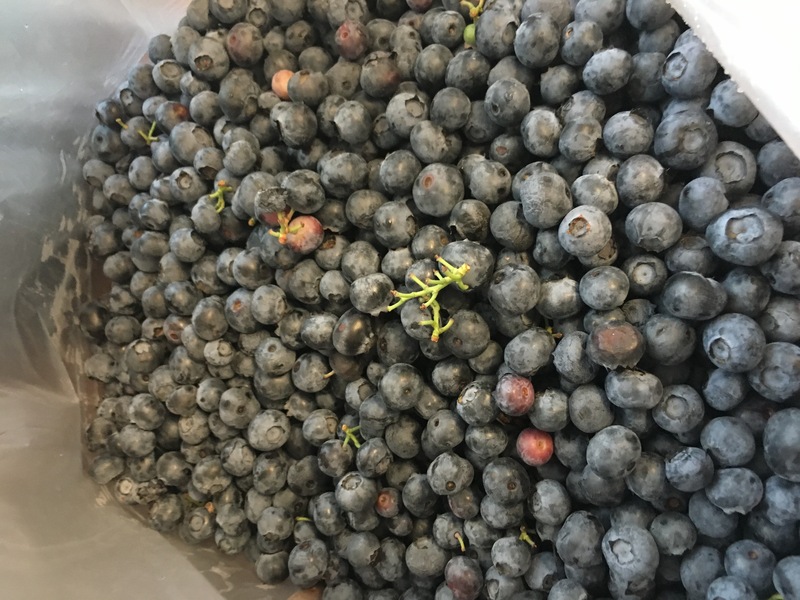 My friend and I loaded up and spent a scant hour picking a bucket of blueberries. 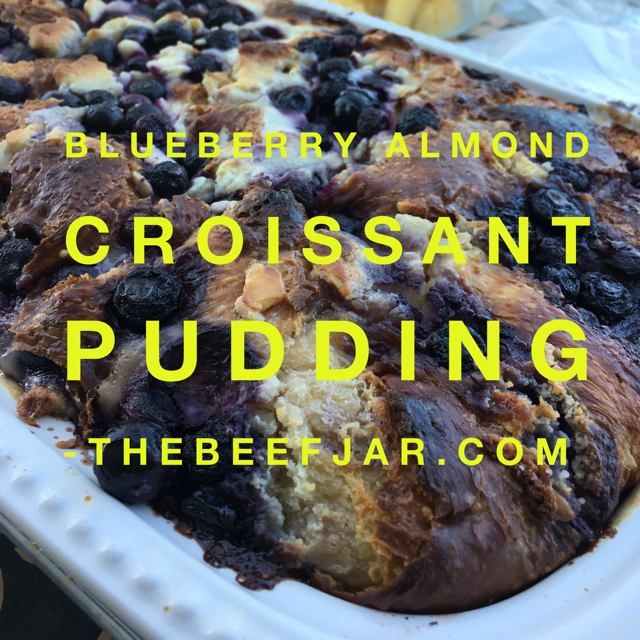 I was then faced with the daunting task of making several pounds of blueberries into stuff before they went bad. I succeeded. I ate a whole bunch, then I pickled a whole bunch, then I made this wonderful jam, and the rest I froze for pancakes. 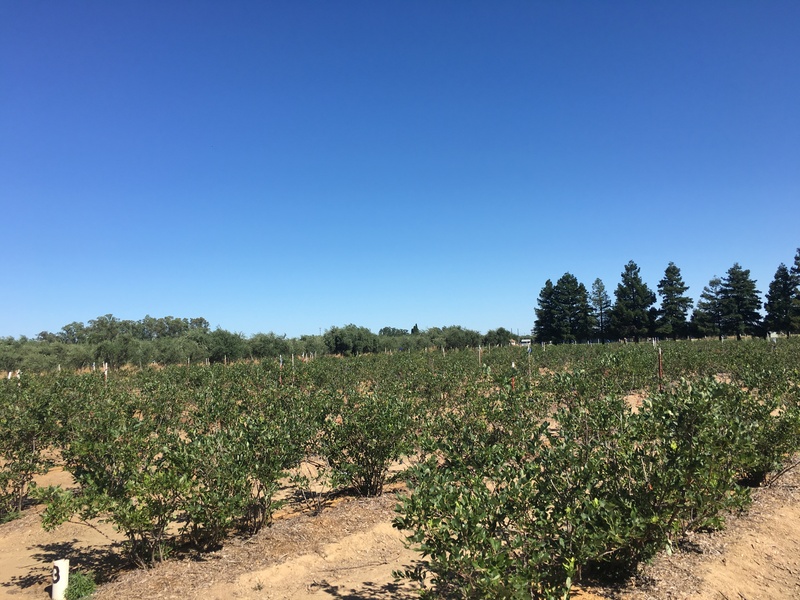 This is what a blueberry farm in Northern California looks like. I think this is now my third favorite jam I make. Which is really saying something since I think I make close to 30 different kinds (I don’t have a problem). I used Meyer Lemons because we have several trees here on the ranch, so they are free in addition to being delicious. The spoils of my picking! Glorious! 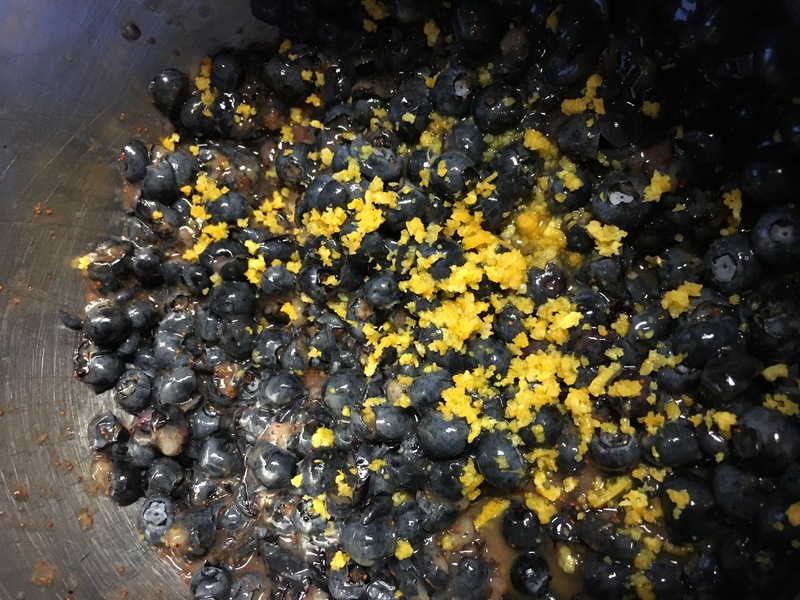 Blueberries, lemon zest and juice ready to be made into jammy goodness. 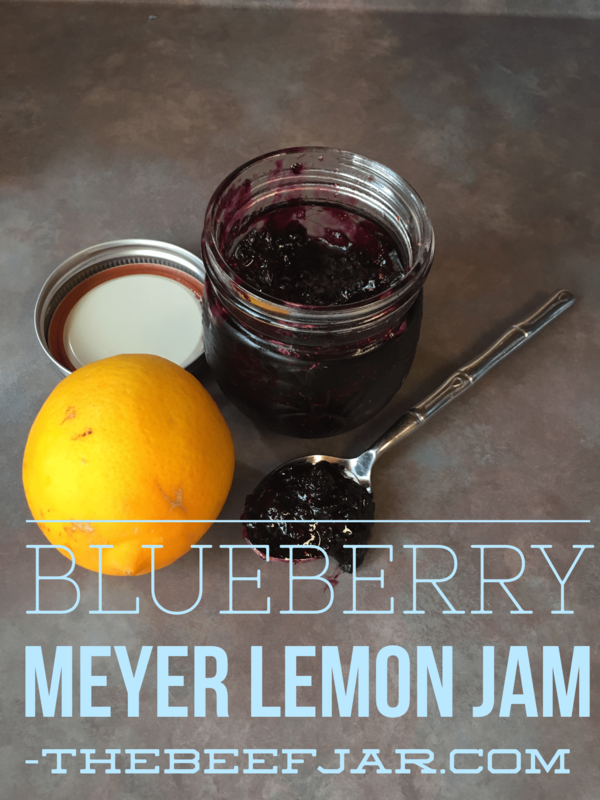 Add blueberries, sugar, lemon zest, butter and juice in a jam pot. Bring to a roiling boil, stirring to prevent sticking. Add pectin and boil hard for one minute. Remove from heat. 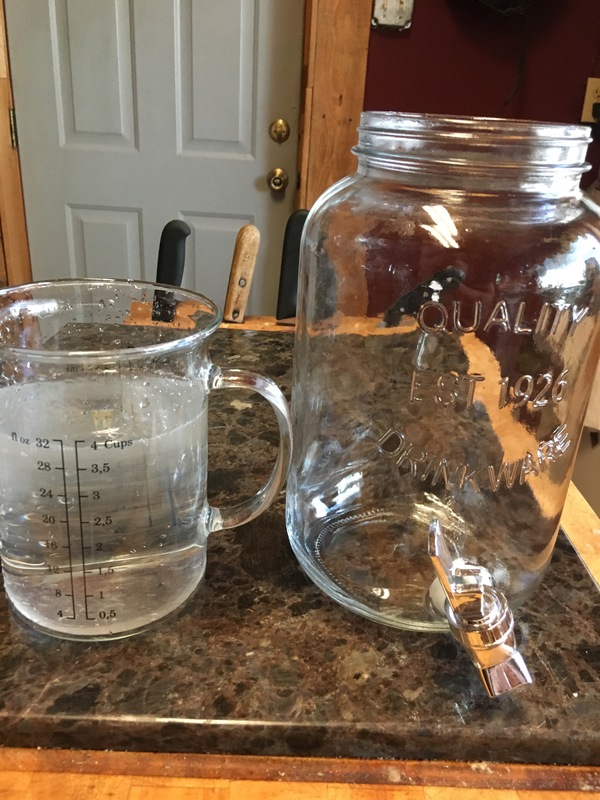 Add to sterilized jars and process in a boiling water canner for 10 minutes. This jam would be breathtaking on a scone, cheesecake or even on toast. It’s light, crisp with a hint of tart. It’s lovely and I ended up making two batches because it’s going to make great gifts. I met John a few weeks ago and we immediately bonded over our mutual love of food. He impressed me with his knowledge of heritage pork and all things gravy (a great mix, FYI). Since then, he’s been gracious enough to teach me more about Southern food and culture. 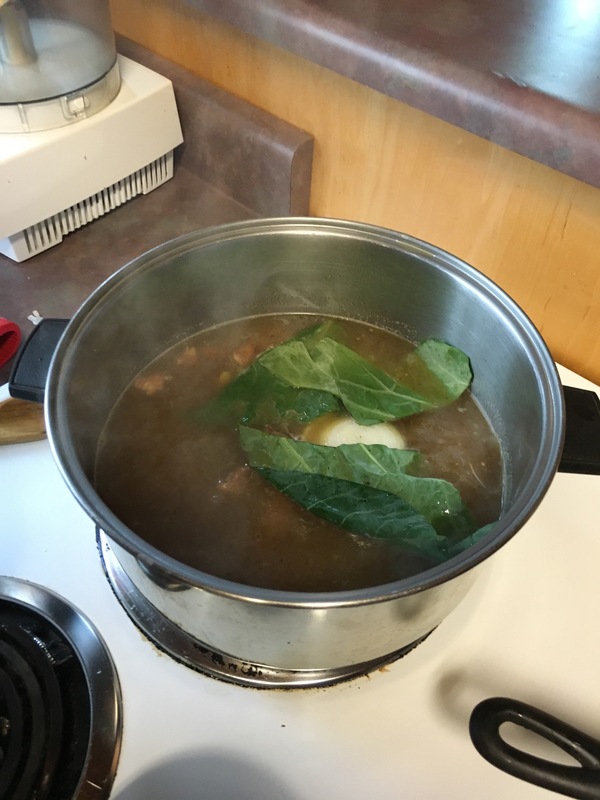 I was 30 kinds of excited when he taught me how to make these collards. I absolutely loved them. I have some in my fridge right now! I cannot believe this isn’t a “thing” out here. Seriously. 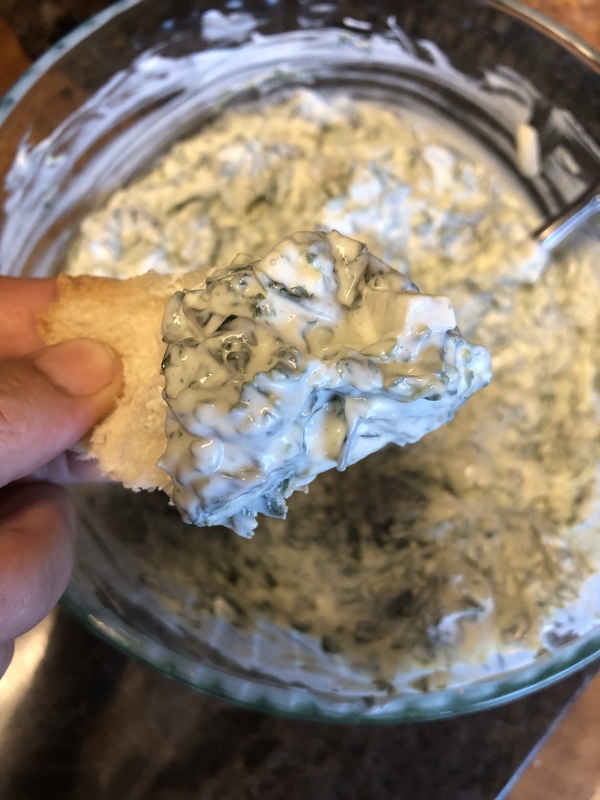 I feel like it is important to share this magical concoction with as many people as I can, so I asked John to author a post for this blog, you know, in the interest of education. Make these. Promise me? You need to try them, they are delicious. 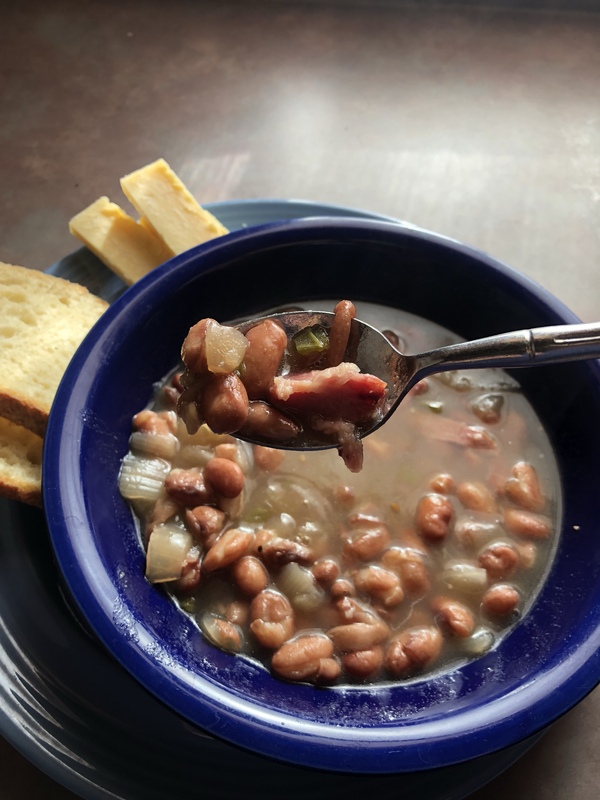 Food is a huge part of southern culture, and the magical ways in which true southern country dishes, or soul food, are prepared are varied and complex. Recipes usually aren’t written down or gathered in great collections. This sacred knowledge is often times only accessible through the family cooking cult’s supreme leader; in my family, this is Granny. Granny is the culinary queen of Coosa County, Alabama and the patron saint of Rockford; the nearest town to our family farm. If she’s not on the front porch reading the Good Book and talking to her hummingbirds, then she’s in the kitchen rattling every pan she can get her hands on. If she’s not in the kitchen, then she’s probably at church because those are the only places this lady goes. In our house, food is love. You know your Granny loves you because she makes an effort to see you smile every time you eat. Your Granny knows you love her because you eat the mound of savory beauty she piles on your plate. You eat all of it. You say thank you. Then you get some more. One of my all time favorite loves that my Granny makes is collard greens. 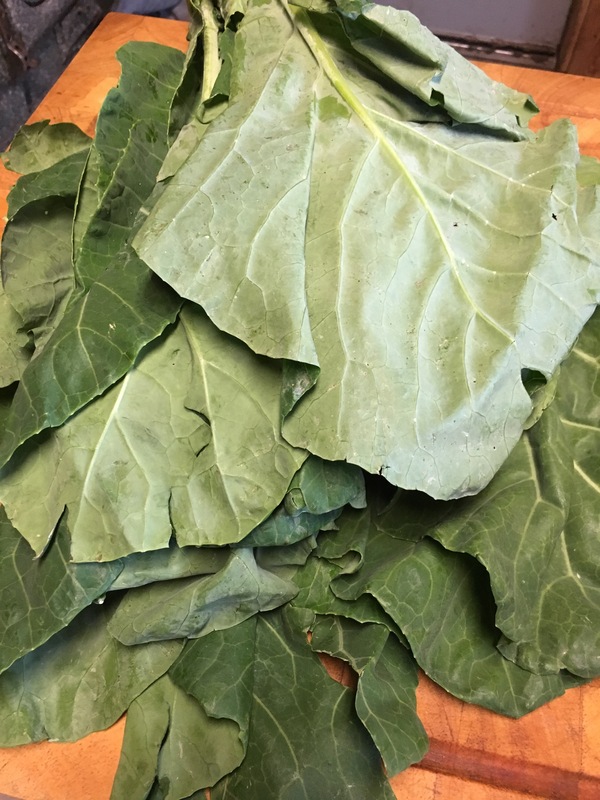 They grow very well in that area of the country, and because collards don’t mind being frozen or canned, they are a regular appearance on many a plate in the south throughout the year. 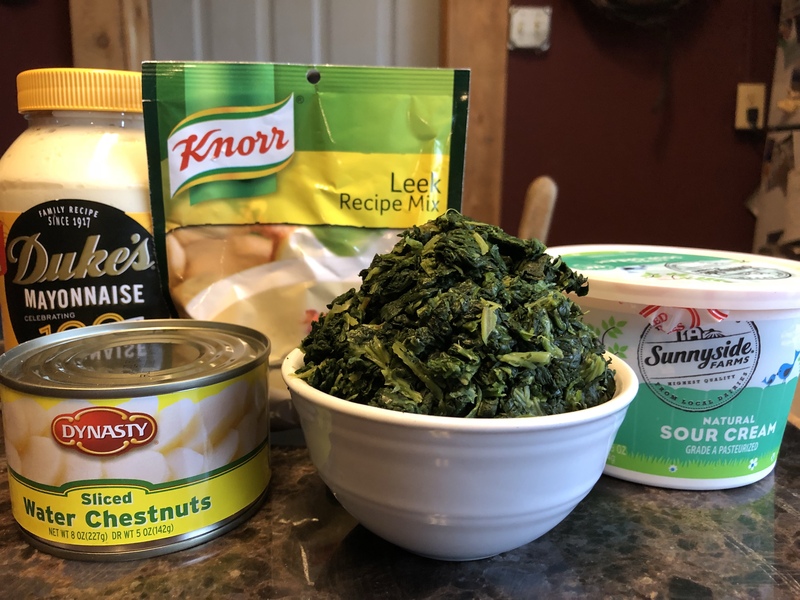 As I mentioned earlier, southern dishes like collard greens are prepared in many different ways, whether it be from region to region, family to family, or generation to generation. This is how I learned, and even though I am very much biased I’ve had them all, and I believe this is by far the best way to prepare the greens. If you don’t like what you get, try something else. 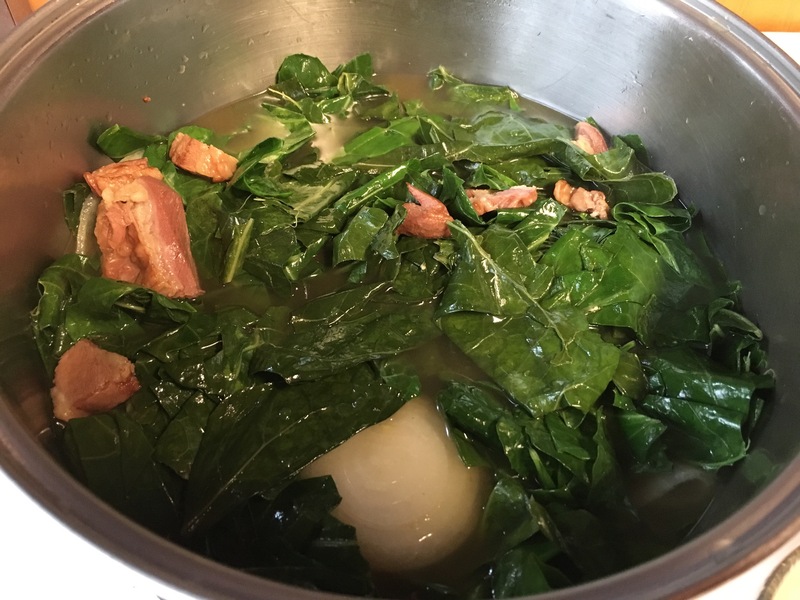 Collards are magic food that can take on a bunch of different flavors, so don’t be afraid to mess around with flavors and spices you are more drawn to or comfortable with. 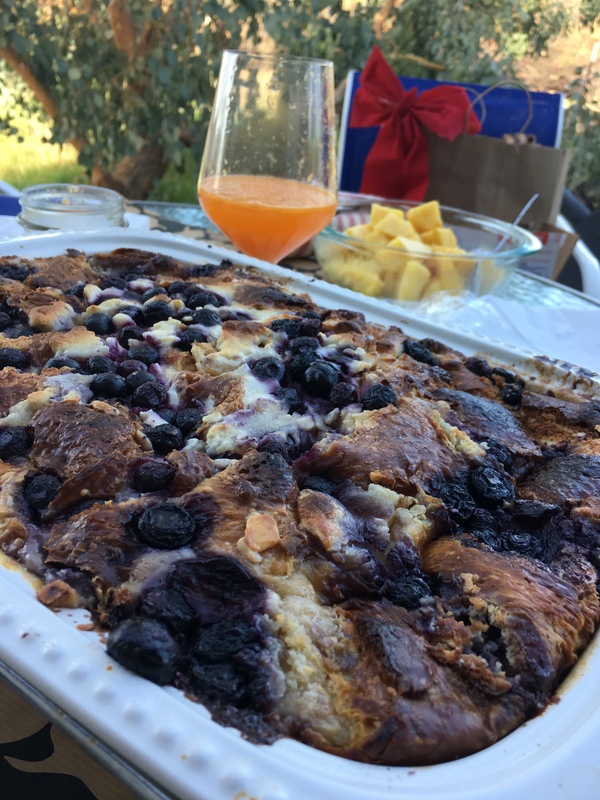 When I met Megan a few weeks ago we quickly found that we share a passion for eating, drinking, and cooking, and she has been kind enough to be my Chico culinary tour guide since then, showing me the best food and drink the area has to offer. Last Saturday, we went to the Saturday Market in Chico to peruse the goodies and plan a good meal for a beautiful but chilly day. As we were walking the rows of the market we came upon a stack of fresh kelly green collards sitting on a table and Megan turned around and informed me that she’d NEVER EATEN COLLARD GREENS!!! Her excitement and joy from learning that I know the way of the greens was enough to melt my cold dark heart and dishonor my family by giving away my Granny’s trade secret. We bought two bundles and decided to do the damn thing. 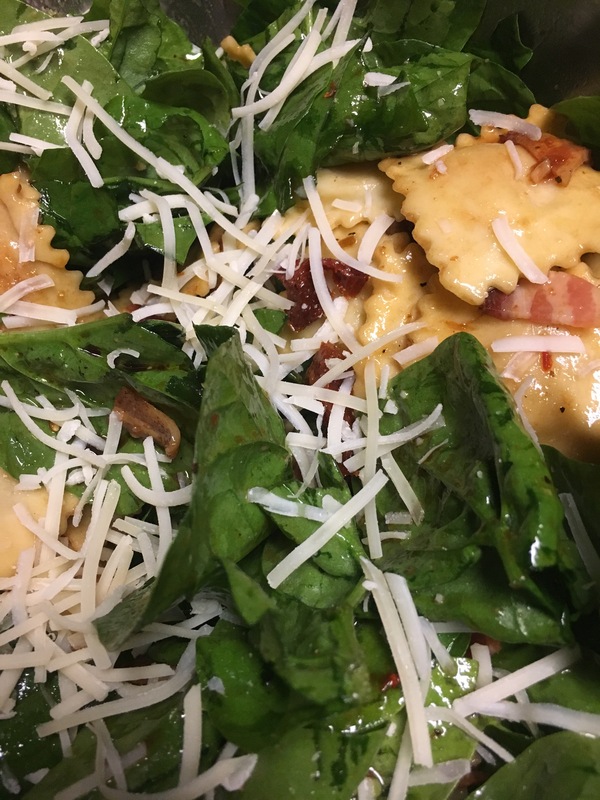 We had a blast cooking up all kinds of stuff that day, but Megan was really impressed with the greens and asked me to share how to do these things right with all of you. So, here’s how you make Granny’s Collard Greens. Share them with somebody special! 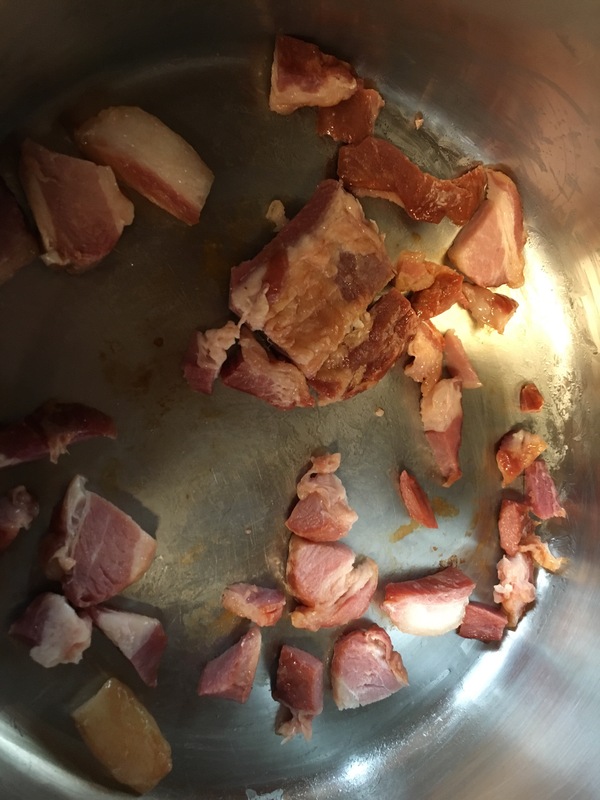 fatty thick cut bacon, bacon ends, bacon grease, smoked neck bones, butter, something…don’t be scared to get greasy. I prefer bacon ends or thick cuts of bacon, cut into small pieces. You want this to cook slowly and to maintain a soft texture so that you release the fat and smokiness. Low and slow is the way to go. Mmmm, Table Mountain Ranch Pork bacon ends. Add some garlic. 4 – 6 whole cloves should do the trick. Let your garlic sweat until it starts to soften. You don’t want it to fall apart just yet, so don’t let it go too long. Add some broth. 2 to 3 cups of chicken broth is my go to. 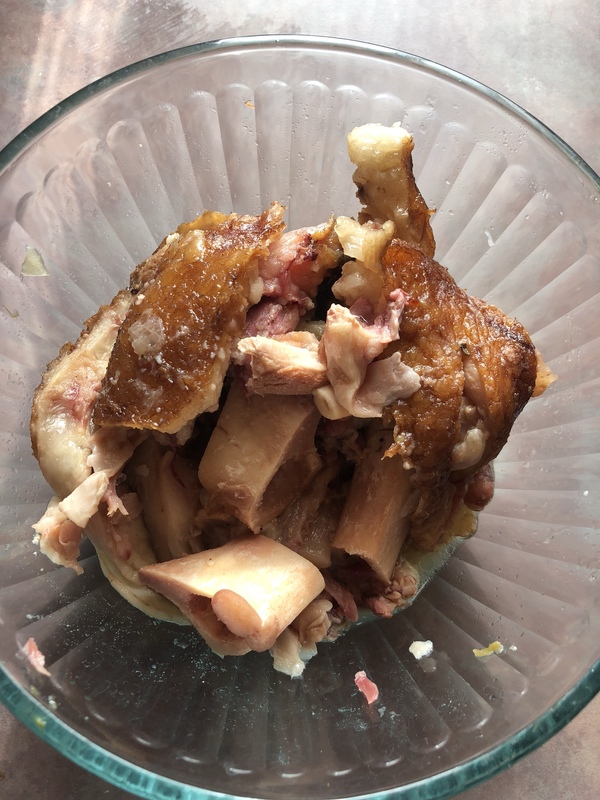 You can use beef or pork broths as well. Heat on medium and let all that get aquatinted together for about 10 minutes. add half an onion. Just cut it in half and drop it in there. I prefer reds or vidalias. add 1/4 to 1/2 cup apple cider vinegar. If you like tanginess use 1/2 cup, if not use 1/4. If you’re timid, just roll the dice and trust the southerner. I mean you no harm. Stir and simmer for another 10 minutes. Remove the leafy greens from the central stem. You can use a knife or scissors to cut them away, or you can go old school and simply tear them away by hand. Wash your damn greens. 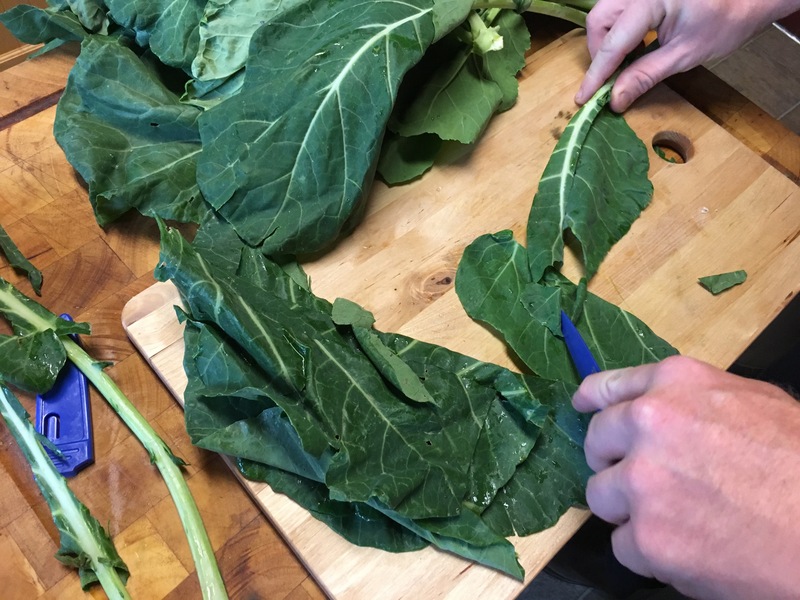 Even if they look clean, collards are a very porous plant that grows near the ground, so the leaves can absorb a lot of soil and grit. The best way to ensure they are clean is to fill your sink with cool water and then add your greens and a half cup of coarse salt. Gently bath the greens in the salty water then drain the sink and rinse the greens with fresh water. I’d even go so far as to spin them as well. Gritty greens are no good. Slowly add your washed greens in small handfuls at a time. Stir each handful into your broth and add more as they cook down. When all of your greens are in the pot you want it to look sorta soupy. There should be an ample amount of liquid allowing the greens to not be clumped together or weighing heavy on the bottom of the pan. Add some water or more broth if you think you need to. Continue gently stirring until all the greens begin to darken in color, usually about 5 minutes. Put a lid on it. Come back and stir it in 20 minutes. Put the lid back on. Come back and stir it in 20 minutes. Taste your broth. By this time, you should be able to get an idea of what your working with. You should have some tang, some spice, and some smoky fatty goodness going on in there. I usually add more paprika right here. Bring your heat back down to low-med, put the lid back on, and let the magic happen. Continue checking and stirring every 20-30 minutes until all the green are very dark in color and soft in texture. When you taste them they should not be chewy or crispy or fibrous, but soft and savory. They should be ready to eat after about two hours of cooking. I just slap em on the plate and go to town, but some people do prefer to add pepper sauce or hot sauce to theirs’. Do as you so please. 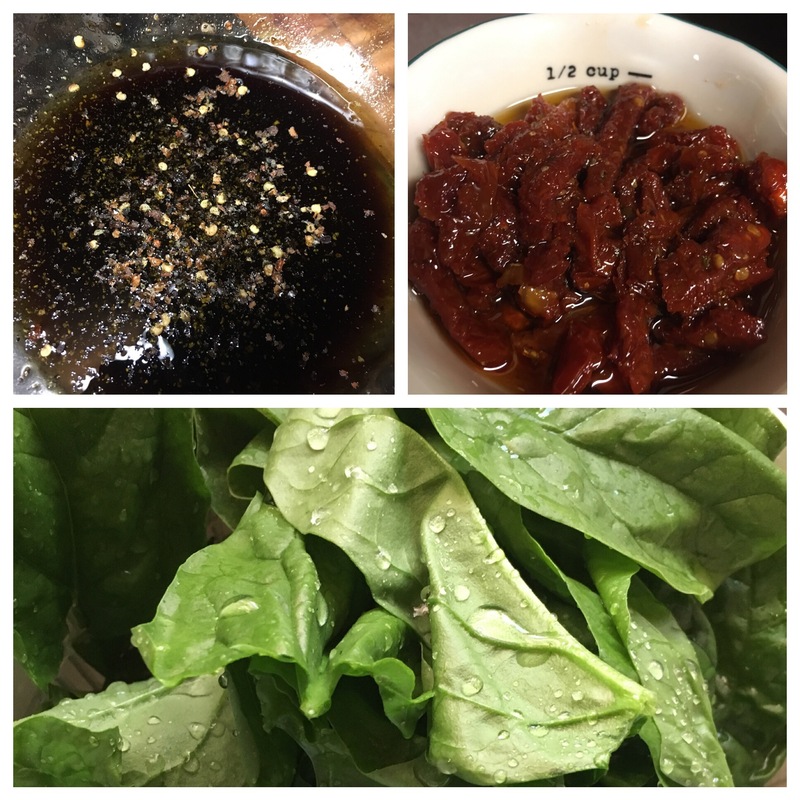 I usually add some more pepper just because pepper is amazing, and a little salt can go a long way if you have undercooked or unevenly cooked your greens and are getting some bitter flavors in there. Collard greens are amazing left over, so don’t throw them out if you don’t eat them all. 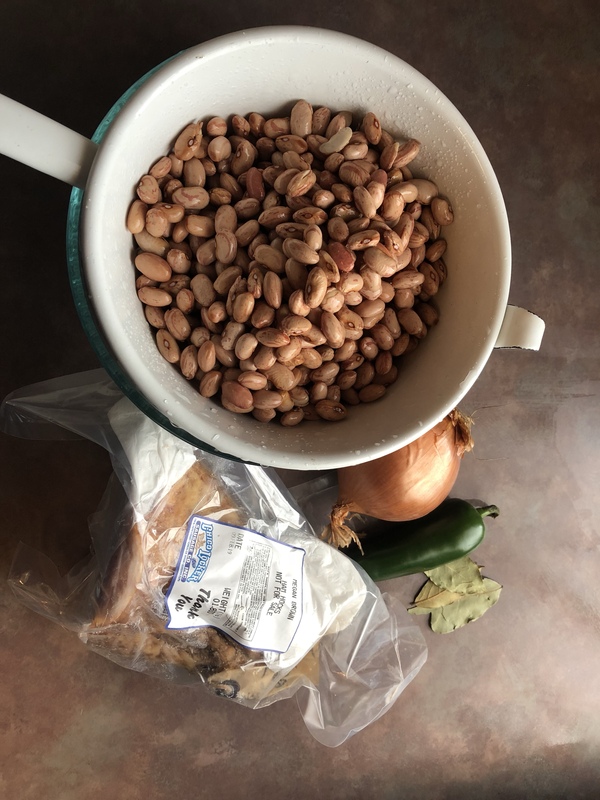 In most cases, they will continue to ferment in that heavenly broth and continue to taste better and better over the next few days. They also can be frozen and stored away for entire seasons without losing anything with the time. When you’ve had your fill of the greens be sure to keep the broth. The broth is called pot likker, and is the best soup base you could ever ask for. Some old country folks even drink it straight, you know, for vitality and what not. A pot of green love.